As we all know, Nepal was hit by an earthquake recently and many families, friends and children need our support. We sincerely request you to help people in distress and donate by visiting Facebook or Unicef website. Here’s a traditional Nepali chai recipe, which I learnt from our friends from Nepal, during one of our tea journeys. Bring water to boil. Mix all the ingredients in water and boil for 5-7 minutes, until the infusion turns to the shade of tea. Serve with a slice of lemon. 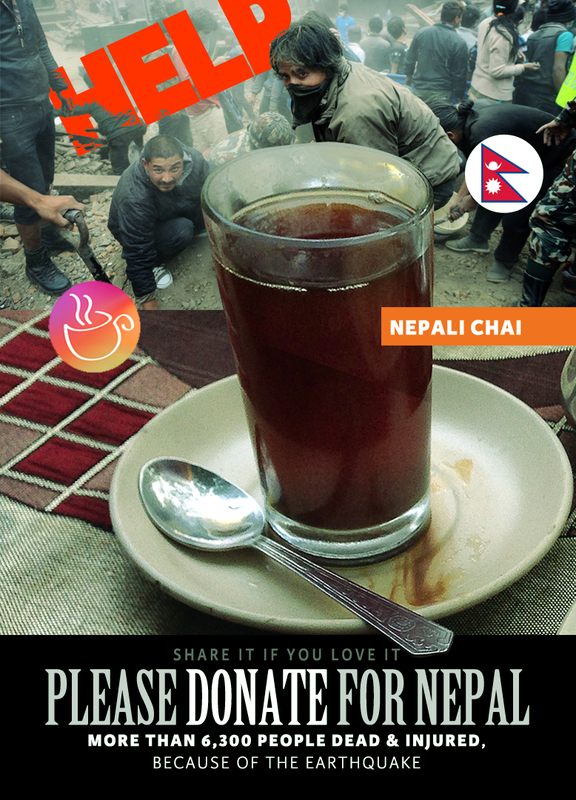 This entry was posted in Tea Recipes and tagged Donate for Nepal, Nepali Black Tea Recipe, Nepali chai, Nepali Spice Tea, tea. Bookmark the permalink.